When you’re a food service operator, you’re probably going to spend a lot of time in the kitchen. Even if you’re not the chef, doing the dirty work yourself, you’re probably in there making sure that your kitchen is a well-oiled machine. Efficiency is key when it comes to serving food. If you’re not running a tight ship, things will quickly spin out of control. At PJP, we’ve spent a lot of time in kitchens to. Not just from our 54 years of working in the food service industry, but from a lot of our employees coming from a background of working in restaurants. We know what it’s like to stand in your shoes, and we’ve learned a few tricks along the way. We want to help your business succeed. 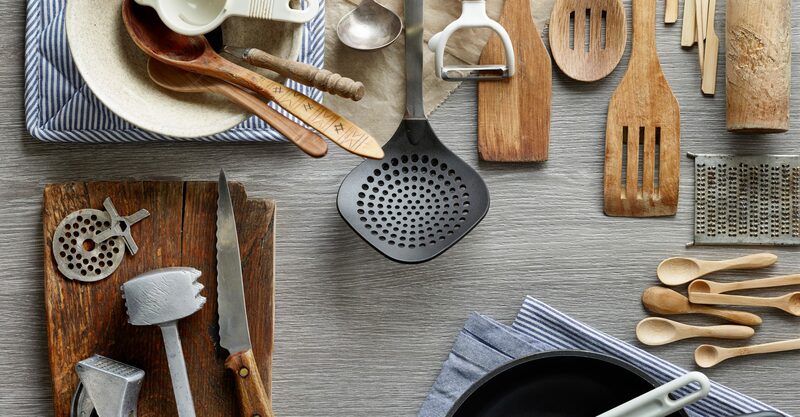 That’s why we’ve put together this handy list of kitchen tools that will make your life easy. We all know how gross cutting boards can get. The knives inevitably cut gouges into the hard plastic, and those gouges get dirt and grime stuck in there. These are places where bacteria can fester, which is why kitchens use bleach to clean their cutting boards. You end up having to regularly replace your cutting boards because it’s basically impossible to keep those things smooth and clean. What if we told you that there was a tool that was specifically designed to keep your cutting boards as smooth and clean as they day you bought them? Meet the Carlisle Cutting Board Refinisher. This product will allow you to easily scrape away the gouges in your cutting boards, leaving them looking like new. Not only will this save you money on cutting boards, but health inspectors love it. This might seem like a simple and obvious tool to suggest, but many Chefs are paying lots of money to have their knives professionally sharpened often. Having a pro do the job isn’t a bad idea, but with the right sharpener in your arsenal, you can drastically increase the amount of time between sharpenings, saving you money. 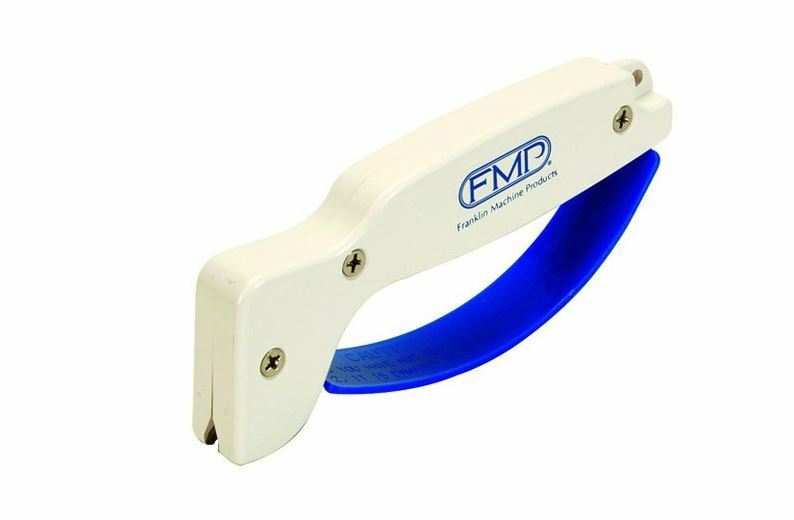 This FMP AccuSharpe handheld knife sharpener is an inexpensive solution that will keep your blades honed to a razor’s edge. It’s quick and easy to use, and it will save you time and money. It’s a no-brainer for any kitchen! A thermometer is a tool that’s necessary for any kitchen. But the old-school thermometers with the analogue temperature gauge are not nearly as accurate as they need to be, and just aren’t cutting it in a professional environment. That’s why we recommend this Taylor Percision, FDA approved thermometer. This thermometer is entirely waterproof, meaning you can even send it through your dishwasher to check water temperatures. It’s incredibly accurate, and it will help you ensure that all the food you are serving is cooked to the appropriate temperatures. 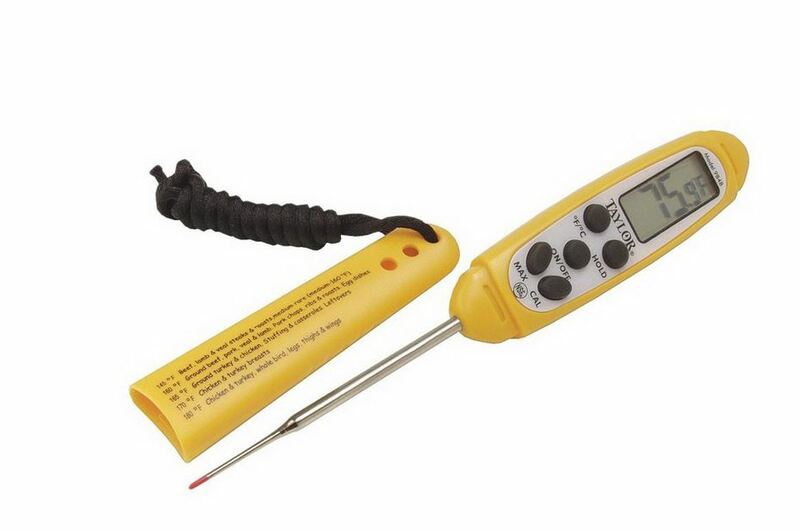 Health inspectors want to see that you have this thermometer in your kitchen. What makes the health inspector happy will make your business happy. Sinks that get a lot of heavy use in a kitchen will often develop a quite… let’s call it interesting smell. That smell comes from food waste build up. This can cause clogged, or slow drains, and it can actually cause flies to start coming up out of your drains. It’s the exact opposite of what you want going on in your kitchen. As usual, PJP has the right solution to solve this problem, and keep your drains free and clear forever. Our friend’s at Spartan have developed a biological solution that utilizes microbes to eat away the food waste that’s present in your drains. They’ll keep your drains completely free of smelly food waste without doing any damage to your plumbing. All you have to do is drop the packet into your drain, and rinse it until it has completely dissolved. Repeat that once a day for 2 weeks to clean a clogged drain, and then once a week after that to keep it clean. It’s that easy!